Craig Shoemaker joins Kevin on stage to talk about playing video games with his kids. Craig Shoemaker is a modern day Renaissance man. 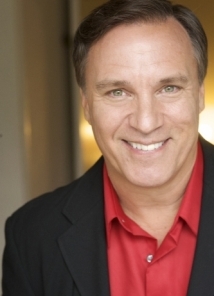 Best known for his engaging, relatable standup and his iconic baritone-voiced character, The Lovemaster, Craig delights every audience with his multi-dimensional ability to entertain with relevance. “Shoe” began his career in his hometown of Philadelphia, where he honed his comedic skills and characters while bartending and attending Temple University, winning the “Best Comedian” award from Philly Magazine. A natural storyteller with sharp observational instincts; Craig’s performances are often based on the hilarious and sometimes shocking twists and turns of his own life. Craig’s latest 90 minute standup special, Daditude was filmed in front of a SRO Webb Theatre audience in Anaheim, CA and aired prime time for three months on SHOWTIME Network. “Shoemaker is insightful and amusing…we are moved beyond laughter to tears,” says the Los Angeles Times. He had his own syndicated radio show that, after only 10 months on the air, won the prestigious Communicator Award “Crystal” prize. Two stand-up bits made it to the all time Top 10 list on XM Radio; with his "Lovemaster" routine honored as the “Most Popular” on XM. The Laugh it Off! podcast is at an impressive #35 on iTunes and has soared in popularity, due to Craig’s great sense of humor, depth of conversation and incredible in-studio guests. It can be seen/heard at CraigShoemakerShow.com. Voted Elevate Film Festival’s “Best Supporting Actor,” Craig’s film, television and recording credits are extensive, sharing both the big and small screen with luminaries like Will Smith, Farrah Fawcett and Samuel L Jackson. He plays the head of the local Tea Party in NBC’s Parks & Recreation, was Neve Campbell’s teacher in Scream 2, and stars in Universal’s cult hit, Totally Baked, which he also wrote and produced. His very first Comedy Central show was voted by viewers as one of the “Top 20″ stand-up specials of all time. His second, Unzipped, aired to mass acclaim and the live CD was on the U.S. Billboard Top 20 for six straight weeks. Craig’s comedy style has earned him numerous awards, including “Best Male Standup” at the American Comedy Awards on ABC. His work as a writer, actor and producer for the regional TV network, PRISM, earned Shoemaker two NATAS Emmy Awards. As a voiceover artist, Craig’s dead-on impression of Don Knotts and narration was featured in the film Pleasantville and he has voiced many characters in numerous animated series, including all voices (and title song) for the new BBC cartoon, Big Foot, Little Foot. Rev. Doc Shoe is passionate about going beyond the comedy, officiating weddings of “HaHa-trimony,” as well as assisting people in mastering love & happiness. In 2003 he founded LaughterHeals.org, a nonprofit group dedicated to using laughter as a healing modality. Currently, Craig is producing a documentary called Live to Laugh, and developing a web series called Wholly Shift! Craig is happily married to his wife Mika and is father to three young sons, Justin, Jared and Jackson.